coral 4vainilla 245gris 3avellana 2crudo 13beige 4202verde 5arena 1015cielo 12cielo 12melocoton 8oro 7oro viejo 313malva 11azafata 33chocolate 77gris marengo 555azul 1001botella 10burdeos 311caldera 302negrorioja 900 BlancoGris OscuroNegro-GrisAzul NavyGris Beigegris.beige.beig.chocolate. Gris. 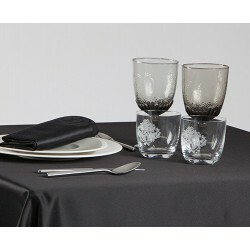 The equipment textile and hospitality you need at the best price! In Rafitextil.is put at your disposal a wide variety of tablecloths, great quality, perfect for dressing the tables of restaurants, hotels and residences, as well as bars and cafes. 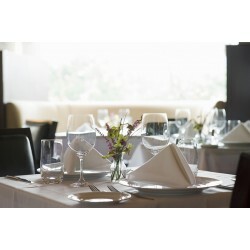 In addition, here you'll also find a great selection of placemats, polyester and PVC, very resistant and easy to clean, made of different materials and patterns for you to choose those that best suit the needs and style of your business. The exceptional quality of our tablecloths are available in different colors and sizes attached to his surprising price, cheap, are reasons enough to opt for our tablecloths for professionals. Do not hesitate any longer and enjoy shopping online wholesale with exclusive offers. Tablecloths There are 66 products. 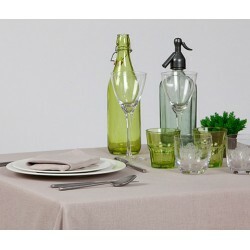 Table cloth satin 50% Cotton, 50% Polyester color white. The steps are to introduce them in centimeters. If you do not find the as you are looking for, please contact us.